Posted on 8, December 2015 by EuropaWire PR Editors | This entry was posted in Art & Culture and tagged Alex Farquharson, Alistair Hudson, Assemble, Jan Verwoert, Joanna Mytkowska, Kim Gordon, Kyla McDonald, Tate, The Turner Prize 2015. Bookmark the permalink. 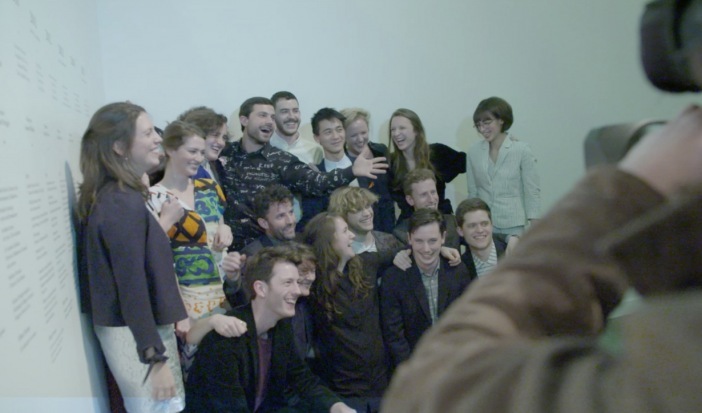 LONDON, 8-12-2015 — /EuropaWire/ — The Turner Prize 2015 has been awarded to Assemble, it was announced at Tramway, Glasgow, in partnership with Tate, this evening. The £25,000 prize was presented by artist, musician and songwriter, Kim Gordon during a live broadcast on Channel 4. The jury applauded the strength of all the nominated artists’ work. The jury has awarded the prize to Assemble who work in tandem with communities to realise a ground up approach to regeneration, city planning and development in opposition to corporate gentrification. They draw on long traditions of artistic and collective initiatives that experiment in art, design and architecture. In doing so they offer alternative models to how societies can work. The long term collaboration between Granby Four Streets and assemble shows the importance of artistic practice being able to drive and shape urgent issues in the post-industrial era. This year’s exhibition is being held at Tramway, Glasgow until 17 January 2016. It is the first time the Turner Prize has been held in Scotland. The Turner Prize 2015 is supported by partners including EventScotland, Glasgow City Marketing Bureau, Creative Scotland, and Glasgow Life. Turner Prize is awarded by Tate to contemporary artists. It is presented annually to a British artist under fifty years old who has exhibited outstanding work in the previous year. It takes its name from the British painter J .M.W. Turner. The prize was first awarded in 1984. A shortlist of nominees is released prior to the announcement of the winner, who is awarded £25000; the other artists shortlisted each receive £5000. In addition to presenting the prize, an exhibition is held presenting the work of all the nominees. The purpose of the prize, and its accompanying exhibition, is to promote and encourage public discussion of contemporary British art. From 2011 onwards, the prize and its accompanying exhibition has been held in an art-space outside of London every other year. This year, it is being held in Glasgow. The four shortlisted artists for 2015 Turner Prize are: Assemble, Bonnie Camplin, Janice Kerbel and Nicole Wermers. Tramway is a leading international art-space which commissions, produces and presents contemporary arts projects and has been at the heart of the changes that have seen Glasgow re-born as one of Europe’s leading centres for contemporary visual arts. Based in the south of the city and a former tram depot, Tramway has a high quality, agenda setting, experimental and dynamic programme; it is one of the most sought after and prestigious spaces in Scotland for artists to present new work. Tramway enjoys a very strong reputation for working closely with and being artist led in its approach. Tramway’s innovative approach to engagement and recent projects co-producing work with diverse, local audiences has increased participation, providing inclusive programmes which demystify contemporary art. The Turner Prize 2015 engagement and education programme will deliver a series of activities and events to inspire, challenge and support new and existing audiences to deepen their understanding of contemporary visual art. Glasgow has fostered great strength and confidence in its artistic community, not least through the Glasgow School of Art and investment in world-class facilities where work can be produced and shown. The thriving creative community involves not just the visual arts but has a strong crossover with music and dance too.